The acronym CAD or CADD stands for Computer Aided Design and Drafting. It is nearly as old as computers themselves. It is just a tool. A tool is worthless unless you know how to use it and one cannot use a tool unless they fundamentally know how to create, or in our case, design and develop products. 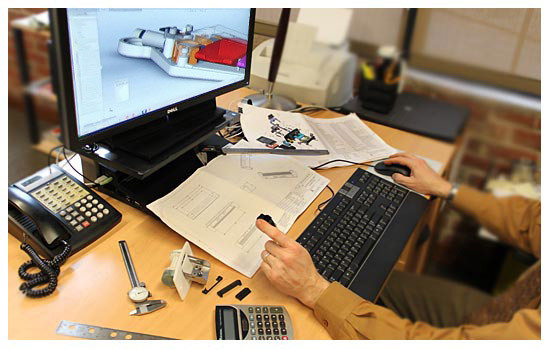 It is much easier and affordable to hand sketch an array of concepts and refine these concepts over and over in the hand sketch mode until a final concept sketch is selected, rather than move immediately into CAD initially just for the sake of modeling and prototyping the product. This is one true advantage of being an Industrial Design firm over strictly an Engineering firm or Prototyping shop.